Last month, the EU’s big new research initiative Quantum Flagship was launched. Two DNRF heads of centers from the Technical University of Denmark and the University of Copenhagen are taking part in projects supported by the initiative. With the expected quantum technological revolution ahead, the Quantum Flagship will aim to retain Europe’s leading scientific and technological position in the field with a budget of 1 billion euro over the next 10 years. The EU’s Quantum Flagship is one of the EU Commission’s largest and most ambitious research and innovation projects so far. With a budget of no less than 1 billion euro and more than 5,000 researchers involved across Europe’s most prominent universities, the research initiative will, over the next 10 years, aim to bring Europe to the forefront of the global race to lead the quantum technological revolution, which has already begun. The EU Commission has carefully selected a total of 20 projects to initiate the Quantum Flagship for the first three years. The projects are spread across five overarching categories within quantum technology. Two DNRF heads of centers, Professor Ulrik Lund Andersen from the Center for Macroscopic Quantum States (BigQ) at the Technical University of Denmark and Professor Peter Lodahl from the Center for Hybrid Quantum Networks (Hy-Q) at the University of Copenhagen, are both participating in the big research initiative. 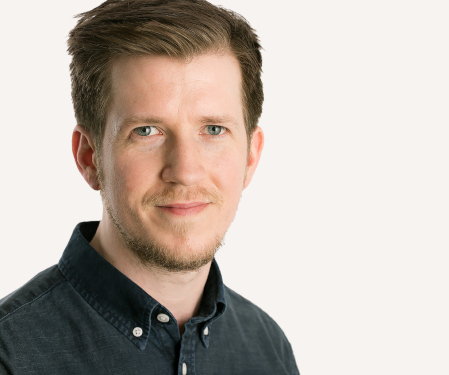 Ulrik Lund Andersen, together with research colleagues from the Technical University of Denmark, will be part of two out of four of the Quantum Flagship’s projects within quantum communication: CiViQ (Continuous Variable Quantum Communications) and UNIQORN (Affordable Quantum Communication for Everyone). “One of the projects [CiViQ] focuses on developing quantum cryptic systems that will ensure future communication, e.g., within the finance or health sector, without the risk of intruders getting access. The target is to make the technology so flexible and cheap that it can also be used by companies, organizations and individuals for safe communication,” said Professor Andersen, head of the basic research center BigQ. 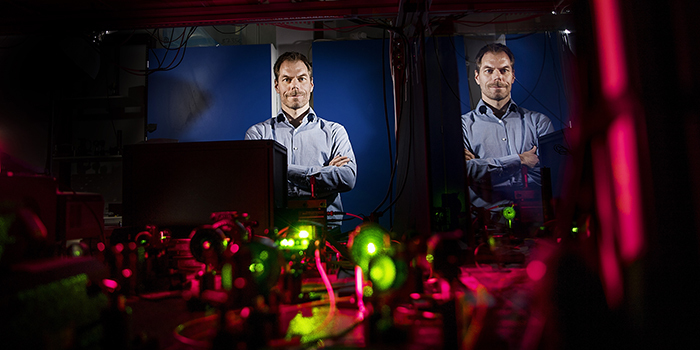 UNIQORN, the other project the researchers from DTU are part of, will focus on the development of smaller and cheaper quantum components, light sources and detectors in quantum communication. The Quantum Internet Alliance – a consortium consisting of leading European quantum researchers and tech companies, headed by Delft University, the Netherlands – has also received 10 million euro from the European Quantum Flagship. From the Niels Bohr Institute at the University of Copenhagen, Hy-Q center leader Peter Lodahl and Hy-Q principal investigator Anders Søndberg Sørensen are partners in the Quantum Internet Alliance, whose ultimate goal is to develop technology that enables a well-functioning quantum internet. “The EU Flagship provides a unique opportunity to engage in research alliances that link the strongest academic groups together in the effort to solve some of the major challenges facing society, such as security and supercomputing. The ultimate dream is to build quantum computers that can solve problems that are impossible to solve with existing computers – or a quantum internet, where unbreakable communication can take place risk free and security is guaranteed by the laws of quantum physics,” explained Professor Lodahl, from the Niels Bohr Institute. More information about the project be found at Delft University here. Further reading at University of Copenhagen here. Read more about the project at Quantum Flagship here.